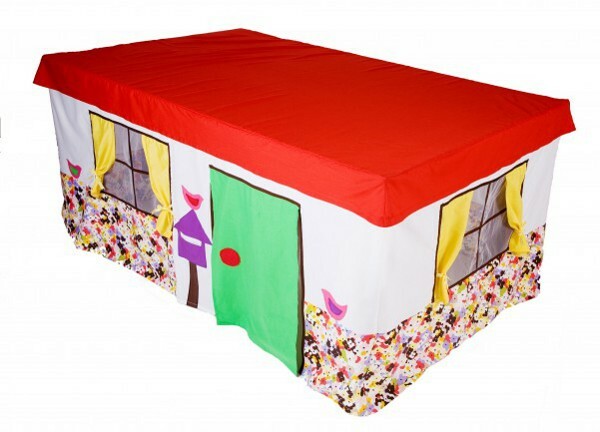 When I was a kid, we had a fabric cubby house that fitted over the top of a card table. I remember hours of fun with friends under that card table – looking back now, I can’t imagine how we ever fitted! In fact, I loved it so much that I’ve often thought about making one for my own kids, but who has the time? I’ve never seen them available for sale anywhere – until now. These ones are even better than my cubby because they fit over a dining table. There’ll be much more room underneath for all kinds of crazy adventures and imaginative play, and you won’t need to keep raiding your linen cupboard for more and more bedsheets. 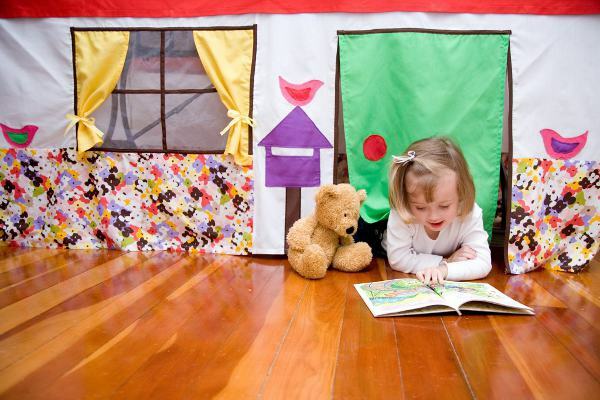 They are the creation of Sydney-based family company My Playhouse Adventures, and are sure to be appreciated by anyone with limited room for traditional cubbyhouses. What a great idea for a rainy day! The Adventures at Home playhouse is currently available in one standard size – about the same as an average six seater rectangular dining table. Designer Kirralee Baker has other cubbies in the works, but is also happy to chat to you about exactly what your child would like. Playhouses to fit different size tables are available on request. The playhouses are machine-washable and pack away neatly in an included storage bag. The Adventures at Home playhouse costs $195, which includes free registered post within Australia. Visit My Playhouse Adventures to buy or for more information.